There is a simple way to improve your office with customized graphics from Solar Art. Affordable and attractive, our graphics fit in anywhere you want them. We design, develop and install graphic film, from privacy panels to images or patterns of your choosing. This will give you your own space and character for offices in San Francisco. If you can dream it, we can create it. 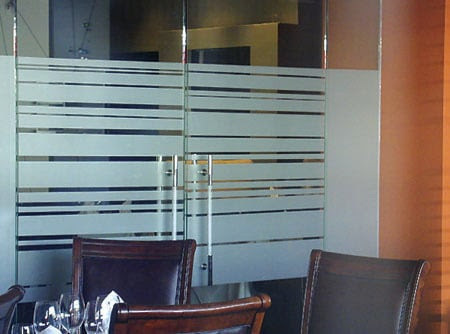 We can apply any number of elaborate images with custom gradients to your office or conference room glass. Our experts oversee your custom graphics from design to application and know every part of the process thoroughly. From beginning to end, we work with you step by step to create a look and feel unique to your company or brand. We provide big and small Custom Graphics for surfaces of any size. We can blend any pattern, color or image to achieve the look you want to see. We can also add texture to films if you need privacy for conference rooms or private offices. 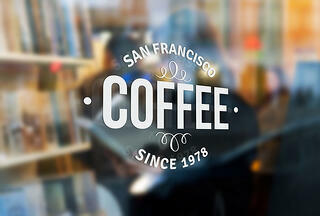 Logos - Customized company logos add brand identity in your space so you can tell your customers who you are. Distraction Dots - Though they range in appearance and scale, these patterns address the safety issue of running into glass in offices around San Francisco. These are custom cut to your choice of film and design. Privacy - Perfect for conference rooms and executive offices, these films provide partial to full privacy in your home or building. Your company is special, why not tell the world? By adding graphics and logos to the windows in your work space, you make the space your own and help marketing efforts. Receive a free estimate from Solar Art today.